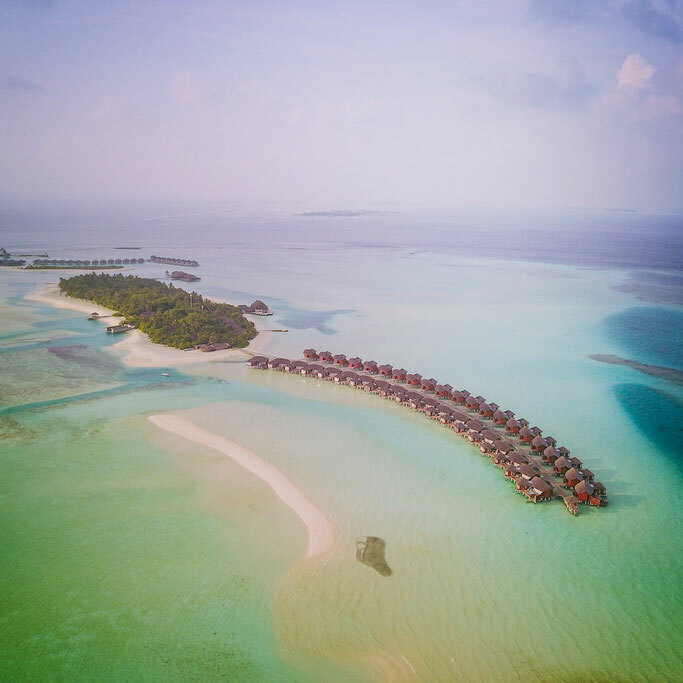 Visiting the Maldives always used to be seen as a once-in-a-lifetime journey, a splash-the-cash kind of vacay that would only be possible after saving the pennies through the best part of your adult life. Then tourism hit. 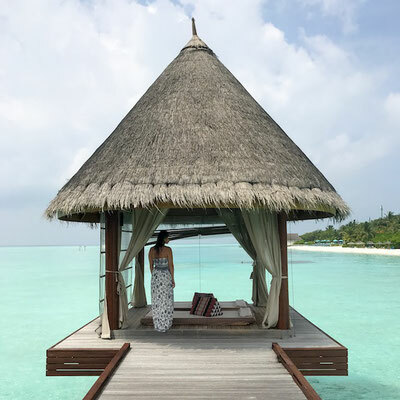 As the tourist came, so did the resorts, in all shapes and budgets, it's now possible to travel and stay in the Maldives on a real budget, complete luxury or somewhere in between. Maldives is open for you. And me, and I couldn't be more excited to share with you the Anantara Dhigu Resort that I recently stayed in for 3 glorious days after flying with Qatar Airways from the UK. Anantara Dhigu Resort is located on Dhigufinolhu Island in the South Malé Atoll. The Maldives is made up of 26 ring-shaped atolls, which are made up of more than 1,000 coral islands making it one of the most beautiful countries in the world - and one of the most sought after scuba diving locations! 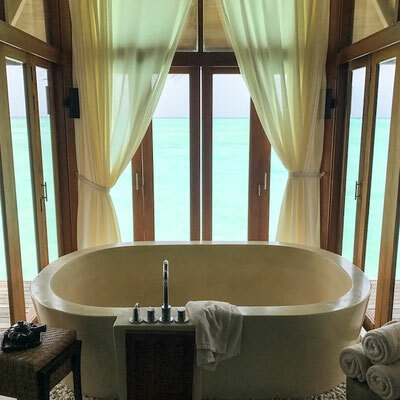 Anantara Dhigu is home to of some of the most spacious luxury villas in Maldives, some with private plunge pools built on stilts or sitting amongst the white sand. There's no denying you are submerged in pure luxury as soon as you step foot on the island and during every minuet of your stay. Then it really hits you when you are on the over-water spa looking down on to the ocean and watching the fish swim past your eyes mid-massage. This place is pretty much perfection. Anantara is a luxury resort which means one thing: LUXURY in every sense of the word. Starting with the rooms. I stayed in a Sunrise Beach Villa located just a few footsteps away from the ocean. These idyllic bungalow style Maldives beach villas offer 125 square metres of natural beauty and luxurious comforts. Designed in tropical island style, a marine colour scheme reflect. They start from around $515USD per night. 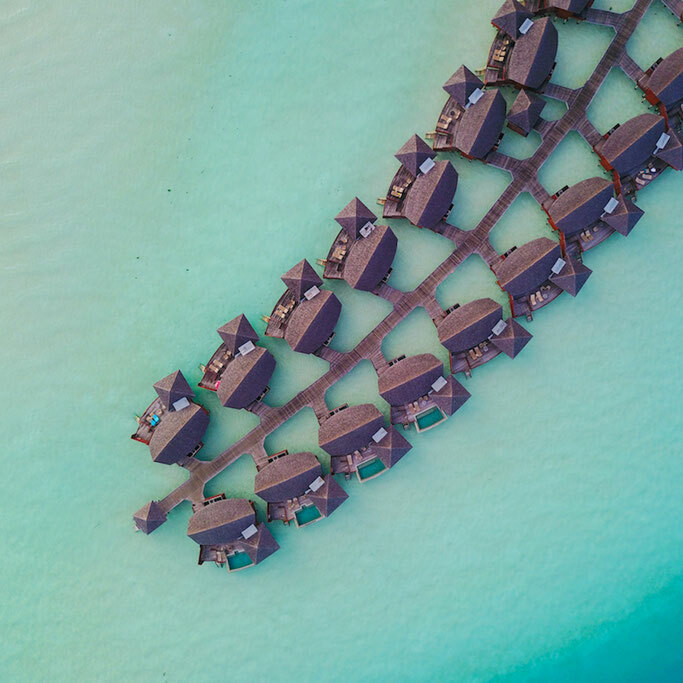 If you are looking to splash a bit more cash you can upgrade to an overwater bungalow (pictured) at nearly double the price starting at $1035 per night. There are also a few options in-between that you can check out prices for here. For me the best activity to do on the island is scuba dive and snorkel! Surrounded by some of the best reefs in the world - why wouldn't you dive straight in? Actually, the Maldives was the first place I ever started scuba diving - 10 years ago - and I never looked back! The island has its own dive centre - Aquafanatics Diving Centre - a PADI 5-star Dive Centre, where you can do anything from your first ever try-dive to a PADI certification course. Even as a Divemaster I still needed to do a 'check dive' first to make sure I was fit and able to dive in the Maldives to the centres standard. And in fact, that check dive was my favourite dive while there with sharks and a HUGE bait bail - shows how awesome their house reef is! 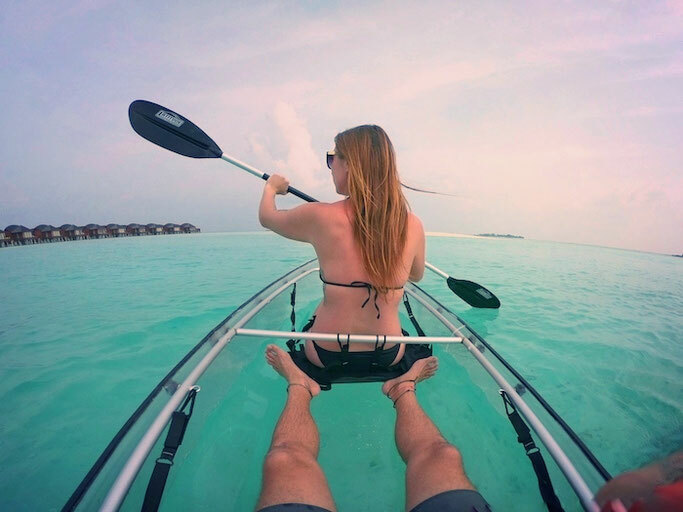 While you are at the dive centre grab a clear canoe and paddle around the resort watching the Indian ocean sparkle below you - and yes, it is pretty Instagram perfect! Or why not try your hand at windsurfing? When the winds are right you can effortless float along the lagoon on your board. 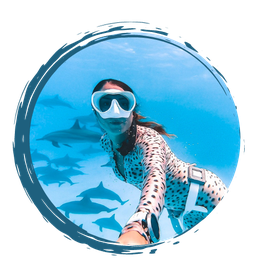 You can also take day trips to search for dolphins, or sunset cruises, even trips to outer islands to really explore the Maldives. Beneath the shimmering waters that surround the island archipelago of the Maldives’ South Male Atoll region, a fragile world quietly rebuilds itself. Coral reefs, the most diverse type of marine habitat, protect the pristine beaches at Anantara Dhigu and guard the islands’ crystal-clear lagoon. They also support an astounding array of tropical fish, crustaceans and bizarre-looking molluscs, however for all of its beauty and apparent resilience, coral is a sensitive organism, vulnerable to extreme weather and sudden environmental changes.In Anantara's commitment to protect the environment, in collaboration with Aquafanatics, the resorts’ experience club, have initiated the Coral Adoption Programme, a long-term plan designed to share learning experiences with guests, accelerate the regeneration of coral growth in the atoll reef and ultimately ensure the future of this unique Maldivian destination. Anantara Dhigu offers a feast of culinary options, from themed buffet dinners on the beach to Italian cuisine served in an intimate setting overlooking the ocean. 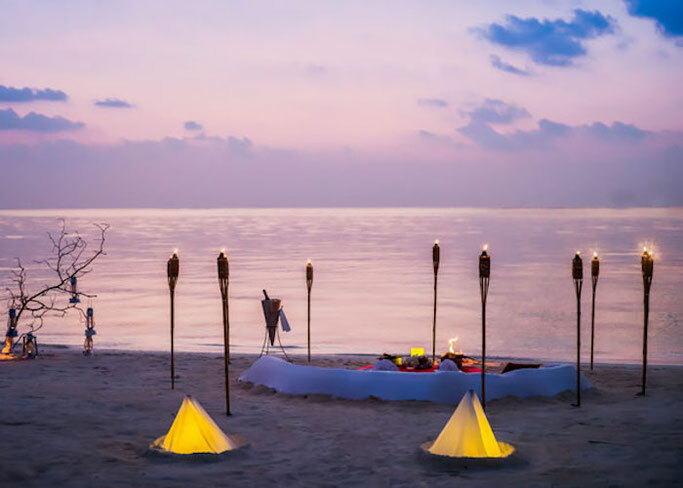 Sample seafood plucked straight from the Maldivian waters or choose to dine under the stars with your loved ones on your very own private island. There are 6 restaurants to choose from on the resort; an International, steak and seafood, Italian, Japanese, Thai, and Pool restaurant. I'm a huge foodie and love every cuisine, so I was so happy to see the variety of food on the island. With the half-board package (the package I was on) guests could choose 3-course from any of the restaurants each night. So, of course, I took full advantage of that and managed to eat 3 courses at the Thai, Japanese and Italian during my stay. Washed down with some wine and cocktails of course (not included in half-board). I was seriously impressed by the quality and service in each dining destination, and their choice of world-class chefs. I'd go as far to say that their food and beverage scene was one of the best things about the resort. One of. Now this is something Anantara has down to a T. Those little extras that you wouldn't have even thought about yet make such a huge difference. Like having a private air conditioned lounge at Male airport - the hottest airport in the world. Then providing cold water and towels on the private speedboat to the island, to being welcomed with more fresh cold towels and drinks. The fresh fruit in the rooms, the staff waiting to help your every need. The dive centre cleaning and drying your equipment for you and bringing straight back to your room in the evening. Each and every staff member smiling and chatting to you like old friends. This is what makes Anantara stand out from the rest and is the reason their guests keep coming back year after year. Let's be honest, I bet the main reason you want to come to a luxury resort in the Maldives is to simply enjoy and relax the calm atmosphere. There are not many places in the world like this, and when you are spending a lot of money for the privilege of being here you will want to soak it all in. Take long walks around the island, catch the boat between islands, go for loooong dinners, drink good wine, enjoy your company. Don't put any pressure on yourself, maybe turn off your email? Just enjoy everything Anantara - a 5* luxury resort - is offering you. I guarantee you it will be a holiday you won't be forgetting in your lifetime. 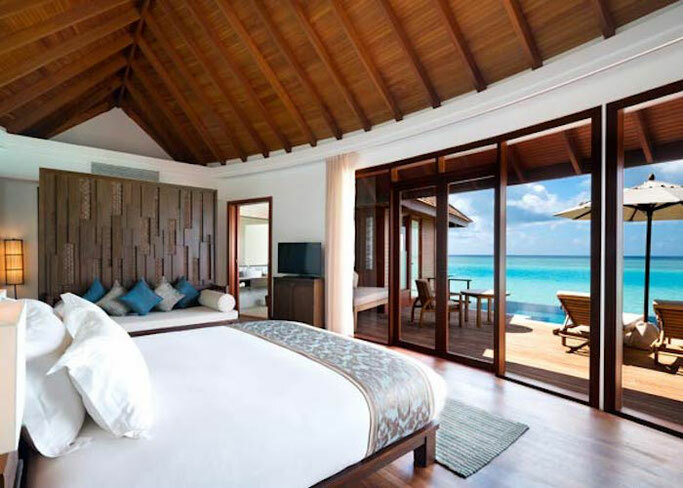 Book your stay at Anantara Dhigu Maldives Resort here. I flew from the UK to Male with Qatar Airways! Qatar are one of my favourite airlines as their planes are big and comfy, their staff friendly, and the food is actually really good. Flying from the UK I had a quick stop off in Doha and then onto Male. UK - Doha was 6 hours and Doha to Male just under 5. 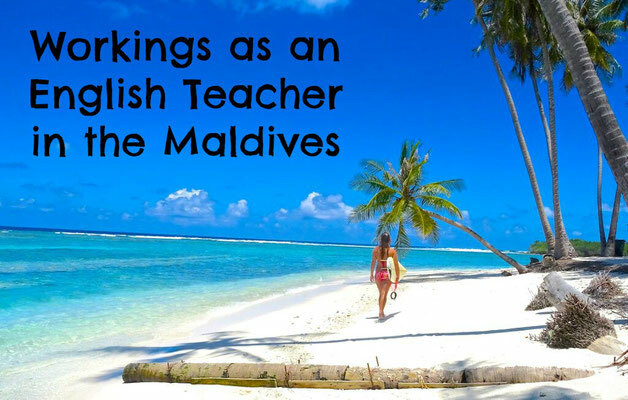 British citizens get a 30-day visa on arrival to the Maldives.